For many years Dr. Carl Mitchell served as a professor at Harding University, preached for a local church and also served as one of the pastors. He once related an occasion when he and his fellow elders had asked that the theme of one worship service be focused on gratitude. By that he meant that songs chosen, the communion, the giving, the sermon, and prayers be centered on gratitude. Our word of the week is gratitude. “Give thanks in all circumstances, for this is God’s will for you in Christ Jesus.” 1 Thessalonians 5:18 (NIV). “A national news program conducted a study of fifty people who have lived over 100 years and still lead active, happy lives. . . . The researchers specifically looked for similarities in diet, exercise, lifestyle and habits that could contribute to their longevity and quality of life. What they found was amazing. “Through an extensive interviewing process, the news team found that some of the participants in this study had what would be considered good diets. An equal number of people were not as healthy in their food choices. Exercise and other areas of lifestyle were also not found to be a common thread throughout the group. Luke 17:17 Jesus asked, Were not all ten cleansed? Where are the other nine? A nation was grateful to the military when they returned from World War II – even calling the men and women who fought to defeat evil in Europe and the Pacific theatre – the greatest generation. But I remember soldiers returning from Vietnam receiving protests and ridicule. A nation – not solidly behind the war efforts in Vietnam – didn’t rally around the returning soldiers – showing them with gratitude. Most of those soldiers had nothing to do with the political unrest surrounding this conflict. Most – like their counterparts in WWII – were merely following orders from those up the command chain. They too deserved our gratitude as a nation. They fought for freedom – they fought instead of many of us – they should have been welcomed home with open arms and gratitude. I imagine that a number of generations have felt that the generation that followed them lacked gratitude. Some seem to have a lack of gratitude for what others have gone thru before them. When we fail to be students of our shared history – it tends to feed a lack of gratitude. The Civil Rights movement in our country is an example. Many suffered long and hard for the freedoms many of us enjoy today. 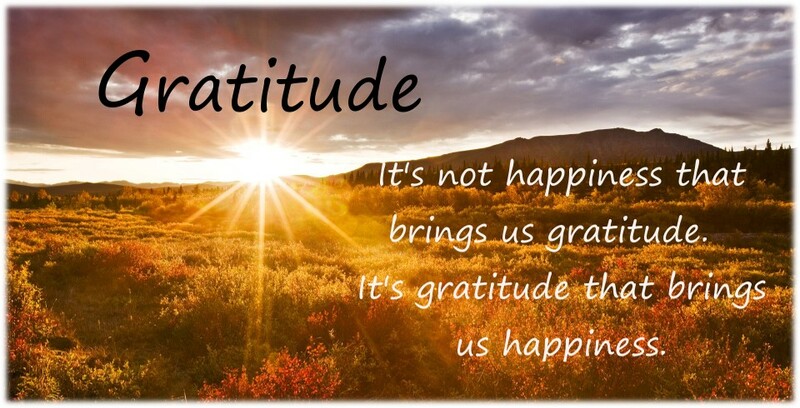 Is there a measure of gratitude? I often do not see the gratitude for those who went before us. Is there anyone in our life or in our families’ history that we should remember or show gratitude toward? Did anyone – maybe your parents – your grandparents – your ancestors – who walked a rough road that we might walk an easier one? We should show gratitude. Has anyone done us a solid? Has anyone gone out of their way to help us? Has anyone give us the benefit of the doubt? Has anyone given us a break when we didn’t deserve it? If so – we should show gratitude. In today’s passage we read about 10 persons who had leprosy. Leprosy was a disease that had social consequences. If you were diagnosed with leprosy you became a societal outcast. You had to live apart from the rest of society and when you came near other people they would shun you and walk away from you. Ten such persons met Jesus one day and Jesus healed them. Unfortunately – only one of the ten came back to show gratitude.